The path for a high school player to a four-year school or even to be drafted can be obtained through a junior college. Not every player with potential is going to be recruited or drafted out of high school. A junior college program can provide an opportunity for a young player to develop skills, strength and speed. If you also consider the rising cost of higher education, I think the junior college route is a great option. Jeff Brazier, Personal Recruiting Director at Baseball Factory, describes the benefits of junior college baseball programs in the article The Truth About Junior College Baseball. Brazier states, “When players are not receiving the attention that they are hoping for, Junior College can be a very good route to take. A player also has a much better chance of improving if they are continually playing and working hard. Going to a four-year university and sitting your first couple of years will not help your development as a baseball player”. Another interesting fact about junior college is the draft eligibility. 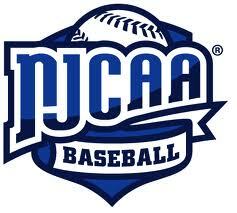 Brazier explains “a player may choose to play at a junior college if they are interested in playing professionally. Players are eligible for the Major League Baseball draft out of high school. However, if a player attends a four-year university, they are not eligible for the draft again until after their junior year of college. If you attend a junior college, you are eligible for the draft after your first and second years. In other words, a player could conceivably be drafted three times before ever attending a four-year university, provided that the player doesn’t sign any of the times that he has been drafted”. Brazier summarized, “When all is considered, junior college is just another route to take to play college baseball and the option should never be overlooked. It may not initially seem like the best path for you as a player, but do not just dismiss this option without exploring it. Just as with NCAA baseball, there are divisions (I, II, II) within the junior college level and in fact, athletic scholarships are available at the Division I and II level of junior colleges. It is very important that all players investigate all opportunities available to them; there is no reason to limit yourself during this important part of your baseball career”.